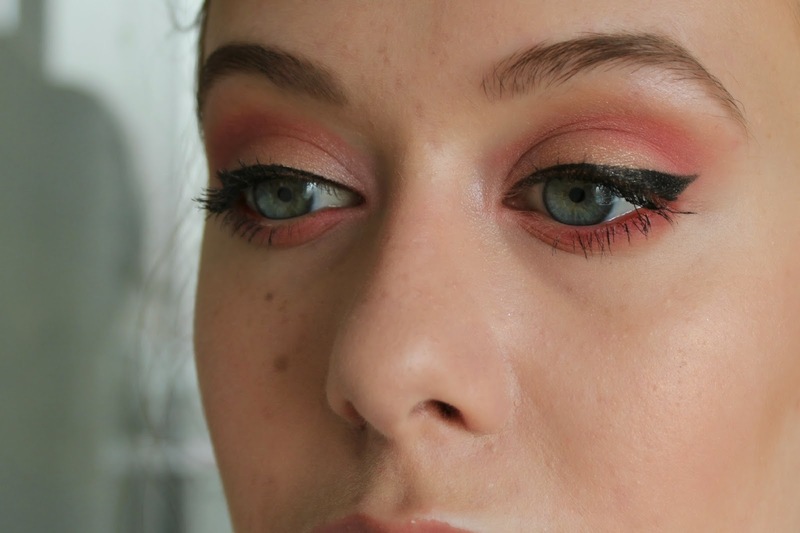 You might remember my first installment of 'experimental eyes' and today I'm here with part two, which is a bit more wearable and is a soft, almost quite romantic pink and gold look. I will add that my brows were not looking on point on the day and I can't help but gawp at them instead of focusing on the shadow, so apologies. 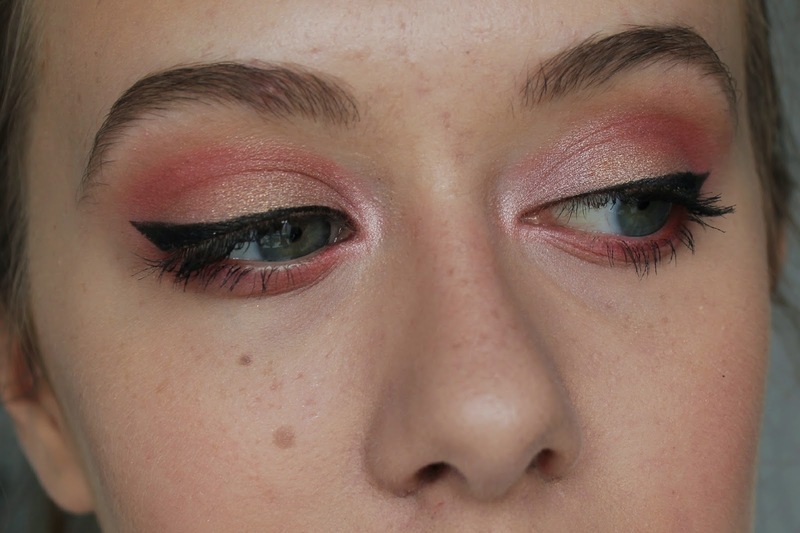 I started by using the Avon Eye Primer as per usual, and then took Shade 2 from the MUA Undressed Palette (a budget friendly look today) on the inner half of the lid to create a slightly pink sheen. Shade 4 (a pale brown/taupe shimmer) went over the rest of the lid with Shade 6 (quite comparable to Half Baked by Urban Decay) in the centre of the lid to add that golden sheen. For the pink crease I began with Shade 5 as a warm matte brown base, and then took Crochet from the Sleek Lace Blush By Three, along with the pink from the H&M Spring Flowers Blush to transition it as it was a bit lighter in colour. I don't own any pink shadows so it's all about working with the products you own whether that be blushes, bronzers or something else. As usual I blended the outer edge with a touch of the Sleek Contour colour to give it a warm, seamless look and is pretty much foolproof. I used the Barry M Blink Pen Liner to create a wing slightly less dramatic than shown in the previous look, but still fairly noticeable. I also used the same array of mascaras as the previous look, Soap and Glory Thick & Fast, followed by Sheercover Lash Fibres, then Too Faced Lashgasm - a bit of a creature of habit it seems (or maybe not considering I just put pink on my eyes). I would never think to use these colours but you really pull it off! What an absolutely STUNNING look. 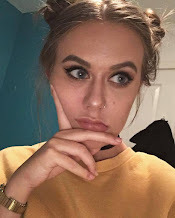 I'd love to re-create this, but I have the feeling it won't look as good on me as I have brown eyes!